NTRCA Final Recruitment Result 2019. 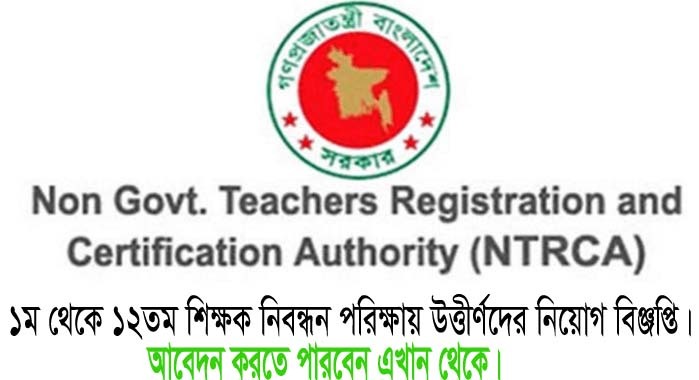 Non-Government Teacher’s Registration Authority (NTRCA) has been publish a notice. 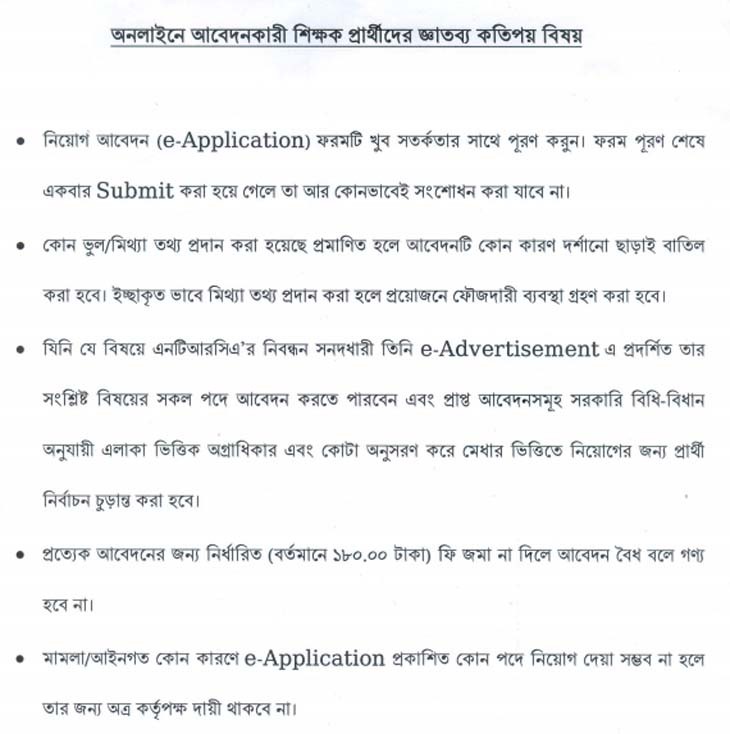 In this notice they are announce that the applicants who are pass ntrca exam in present time they can apply. They are announce that the candidates can apply their favorable institutions if there are have any vacancy. The NTRCA Final Recruitment will be found here. Registration Number will be found your ntrca exam certificate. Certificate is found your district education office. If You successfully complete your application then you will receive a application ID number via SMS. Then you have to pay application fee by teletalk mobile SMS. SMS format are given below. 1st SMS : NGI APPLICATION ID & SEND TO 16222. 2nd SMS : NGI YES PIN & SEND TO 16222. The authority of NTRCA has been publish a recruitment notice on their website. They are announce that all the institutions of non- government get information for their teacher requirement. The authority has been recruiting teachers in this requirement. They are invite to application to the authority who are need teacher for their institutions. The application in this reason all ready end. After that the authority has been publish job recruitment notice in their website. Then the candidates can apply their chosen institution for the post of Assistant teacher or Assistant Professor. See Total Vacant List According To the institution Name. E-Application will be start at 20th July 2016. About 6,00,000 candidates has been pass ntrca exam. They are worry about their recruitment. At this moment they are not sure to their recruitment. In this circular is a good news for ntrca certify candidates. They are wait a large time for the recruitment. Please see the notice and confirm that it is a real and good news for you. The candidates who are pass 1st to 12th NTRCA examination they can be apply. You must be provide your name and others information according to your NTRCA job application Form. You will receive a SMS when you submit your application completely. The SMS will be provide teletalk mobile operator. You must be save applicant copy. They are given preference your District post and their institution vacancy. So, you can apply your districts wise, Division wise or You can apply the capital city wise. They are requiting as the merit list that they are create by your ntrca exam result. Please See the whole circular at first. Read it carefully and apply online. You can see here NTRCA Final Recruitment Result. The authority of NTRCA has been publish a final recruitment list for the 13th NTRCA candidates. You can see it in our website. You can see here 13th NTRCA exam result and other information. If you want to see then click here 15th NTRCA Exam Result.